Item Number: 170-6-35 18765 Actual Weight: 2 lbs. Help to keep your warehouse or distribution center organized. 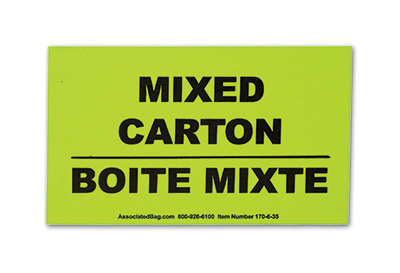 Peel-and-stick labels help material handlers and other workers by making messages stand out. Messages are printed clearly on labels and can be placed on inventory items, boxes, shelving, and pallets.